Sémillon is a white-wine grape originating in the Bordeaux region of France, where it has historically been a major component in the regional white-Bordeaux blends along with Sauvignon Blanc. Today it continues to be significant there, though (as with all Old World regional wines) rarely as a monovarietal; it is also a major grape in Australia, as further discussed below. There are smaller plantings in most of the other major wine regions of the world, from Chile to South Africa. Sémillon is generally considered one of the dozen and a half or so of world-class white-wine grapes (those in boldface in the dropdown varietals lists near the top of the page), though that status is almost certainly derived from the amazing dessert wines (as in Château d'Yquem and other Sauternes and Barsacs) it makes, from Bordeaux to Washington State, rather than our focus here, table wines (which is not to say that it cannot make excellent table wines, given due attention). Sémillon is a grape shifting from the Old World to the New. Alone and even as an ingredient in blends, it is currently losing popularity in France, to the extent that the makers of the famous dessert wines have banded together to grow their own so as to assure a continuing supply. A major reason, ironically, is that both winemakers and consumers in France and indeed much of the world consider Sémillon to be lacking in greatness owing to a lack of complexity and clear distinctiveness when used in or as a table wine—but that situation is very different in Australia. 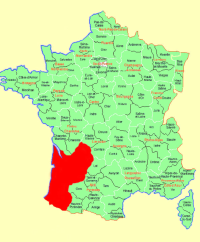 Its chief role in Bordeaux has always been as a "softener" of the much more aggressive Sauvignon Blanc grape, but winemakers today can better control that without needing as much blending of mollifying grapes, hence the dwindling of interest in its homeland. Sémillon as a monovarietal table wine is, however, now taken quite seriously in Australia, where several styles exist. Of those, the two most interesting are (to quote Wikipedia) "a complex, minerally, early picked style which has great longevity; and an equally high quality dry style, which can be released soon after vintage, as a vat- or bottle-aged example." Those are said to be styles unique to Australia. Specimens from the Hunter Valley region, arguably the premier Australian specimens, are never oaked (but with maturity famously take on a deceiving quality of oakiness). Sémillons of the aged sort tend to taste somewhat honeyed and toasty; the younger style emphasizes fruit, tending to display citrus aromas and flavors. Factoid: As of the early 19th century, Sémillon was thought to be the most widely planted white-wine varietal in the world. "Most examples of these bottle-aged Hunter Semillons exhibit a buttercup-yellow colour, burnt toast or honey characteristics on the nose and excellent complex flavours on the palate, with a long finish and soft acid. Young Hunter Valley semillon is almost always a dry wine, usually exhibiting citrus flavours of lemon, lime or green apple. Cooler-year Hunter Semillons seem to be the most highly sought after, with some of the 1974 and 1977 vintages still drinking well." "Sémillon wine is loved for its full body, like Chardonnay, but with flavors closer to Pinot Gris or Sauvignon Blanc. . . 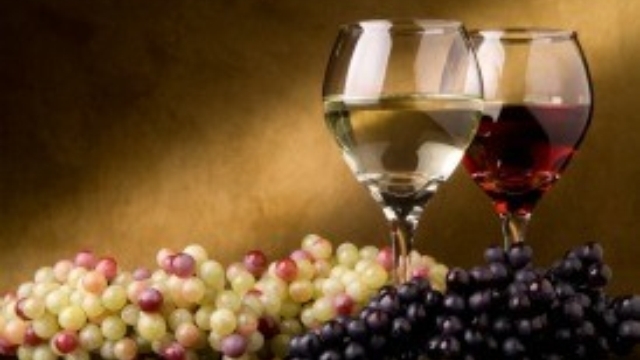 The primary fruit flavors in Sémillon wine are lemon, apple, pear and green papaya. There’s something very waxy about the taste of Sémillon which wine writers often describe as lanolin. Depending on where Sémillon is grown it can range from being a zesty, palate-cleansing wine like Sauvignon Blanc to a rich, creamy, lemon-flavored wine like oaked Chardonnay. . . Hot-Climate Sémillon: More ripe fruits, including mango, yellow peach and papaya, can be found in warm climate Sémillon. It’s not uncommon to find wines from these regions using moderate oak-aging to add buttery notes to the flavor. Hotter-climate regions include California, South Africa, Argentina, South Australia and part of Washington State. Wines will be higher alcohol with about 12-14% ABV. Cool-Climate Sémillon: When winemakers pick Sémillon less ripe, the wines have a lot more acidity and often resemble their popular cousin, Sauvignon Blanc. Citrus flavors of lemon, lime zest and grapefruit are accentuated in this style when winemakers don’t oak-age their Sémillon. A cooler climate Sémillon will also have more flower aromas. Cooler climate Sémillon wines (where grapes are picked less ripe) are commonly from Washington State, Bordeaux, Hunter Valley Australia and Western Australia. In these areas, wines will have about 10-12% ABV"
"So now you find two incarnations of Hunter sémillon. The first might almost be deemed a sauvignon blanc substitute: it is young, unoaked, lithe and grassy and refreshing, tinted with citrus flavours, but more delicate, not as attention-seeking or as raucous as the dreaded SB. The second is aged sémillon. More than almost any other grape, sémillon undergoes an extraordinary alchemy as it ages. If in its infancy it is reminiscent of mown grass, with a quicksilver citrus quality, with time that grass turns to hay, the citrus softens into a rich beeswax and lanolin and out of nowhere the grape throws up a nutty, toasty edge with the smell and a rasping texture that would have you swear, absolutely swear, it had spent some time breathing through the oak of barrels. I like sémillons when they’re caught midway between youth and age, so they still have a bit of zesty drive, but also soar with this magnificent, swooping, seemingly impossible complex transformation. Such is the texture that, blind tasting, I sometimes confuse them with Clare Valley riesling – but they don’t have the matching lime, the lilac or the acidity. " "The reason these wines are so well regarded is the extraordinary ability of Semillon to develop beguiling bouquet as the wines mature in the bottle. There's nothing quite like it. Young Semillon has a fat texture, but a fairly bland aroma, often described as 'fig-like,' and a pleasant, but short finish. Often this non-descript character is a function of Semillon's tendency to produce massive crops. Fifteen-year-old, dry Semillons made from grapes grown on old vines, water stressed to reduce crop levels, are an entirely different story. Their bouquet becomes rich and penetrating with a toasty, 'hazelnut-like' character which remains on the tongue for minutes, and in the mind for years. " "Picked early at low potential alcohol and unoaked, in their youth Hunter Valley Semillons are rather neutral, acidic white wines. With several years in the bottle, though, they undergo a metamorphosis, putting on weight and developing a delicious toasty, honeyed character that could fool you into thinking they've been barrel fermented. The best examples can carry on evolving for decades." "Unaged, dry Sémillon is a very lemony, citrusy wine. It tastes like (dare I say?) just boring white wine — neutral with some acid but not much character. Sometimes it can take on an herbal or tropical note, and can be a little like candle wax too, but it’s generally a little boring without any age. I think this wine is better when it’s been held in the bottle for a while. With a little age, Sémillon gets interesting. I’ve had a few that are a bit older and they are amazing. Boring white wine turns into something honeyed and croissant-like, and can allegedly (I haven’t experienced this particular phenomenon myself) taste like buttered toast, even if there’s been no time in an oak barrel, which is generally responsible for toast-like flavors." "Sémillon contributes a deep golden color to a wine, even more so if the grapes have been botrytised. With an aromatic profile that ranges from subtle fruit to floral and some spice to a bit of earthy and herbal, this particular grape does not dominate the nose, but supports the blending process with its ability to offer the rich fruit character of honeyed apricots, quince, candied peach and creamy vanilla tones. In fact, its ability to pick up and spotlight the impressionable oak influences are another draw for blending with this grape. . . With its lower levels of acidity, almost oily textures, more subtle aromatics and rounder profile, it is the perfect complement to the leaner lines, zesty profile and fresh acidity of Sauvignon Blanc. Sémillon also enjoys a reputation for aging well over the long haul. . . While lacking complexity as a young single varietal wine, with a bit of age Sémillon can take on the rich, full flavors of candied fruit, carmalized nuts and ongoing honey nuances. " "Dry versions of semillon have a signature waxlike nose. Vanilla, citrus, grass, floral and sometimes green pepper aromas can be noticed. While usually full-bodied with a round mouth feel, it can be deceptively high-acid. Semillon found a hospitable home in the Hunter Valley of Australia, where, without any oak, it creates wines that improve over the course of a decade and can age even longer." "It’s a grape that sometimes tastes similar to a Sauvignon Blanc, and yet is still completely different, with brighter citrus, less grassiness, and a lighter, paler color. . . Most dry Semillons typically have a very pale straw color to them, nearly clear in the glass save for the slightest tint of yellow . . . Dry Semillons are youngish wines, so you’re not going to get an overwhelming perfume-y nose on them by any stretch of the imagination. The scents you’ll get on a Semillon will be very dry and crisp, similar to a Sauvignon Blanc but not grassy (the similarities between the wines are why they are such well-matched blending partners). You will get guava and other tropical fruits, maybe some orange or Mandarin orange even an orange cream . . . But dry (not dried) tropical citrus fruit is the key aroma in a Semillon wine. . . You’re definitely going to get a dry, sharp, citrus snap to a Semillon – more tropical fruits like the guava and some pineapple and even a Limeade flavor in there. It might start out with just a touch of sweetness too but then develop quickly into the more sour, acidic citrus fruit flavors. Don’t be afraid; the acid is a good thing. The wine should be very dry and very clean on the finish, with only the slightest hint of an aftertaste too." 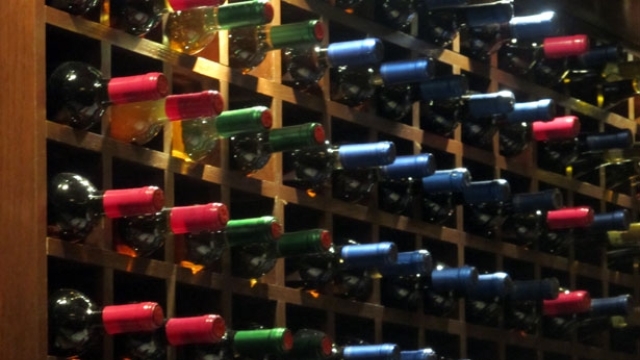 "Wines dominated by semillon may lack much youthful aroma, but have fairly full body and tend to be low in acidity, even "oily" or "fat" at times. Semillon also has an affinity for oak, accentuating subtleties such as "toast" and "smoke" that emanate from wines' "spice" rather than its "main ingredient", but nonetheless adding complexity. This is the flavor profile of a supporting role grape, rather than a star, and most winemakers use semillon in blends, if at all. Semillon is the soft, subtle, rich Yin to balance the Yang of sauvignon blanc, which can be aromatically aggressive and acidic. Semillon even works well when blended with that notoriously standoffish loner, chardonnay, providing weight and richness without diverting aromatic delicacy." "The best Hunter Valley Semillons have such high acidity that they used to be referred to as Hunter Valley Riesling, although there seems to be less confusion these days. 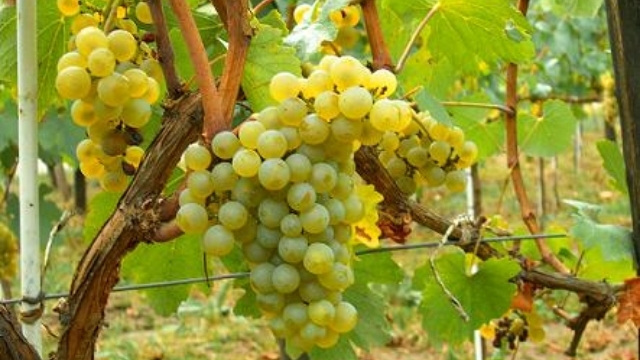 These wines are some of the longest living whites in the world. . 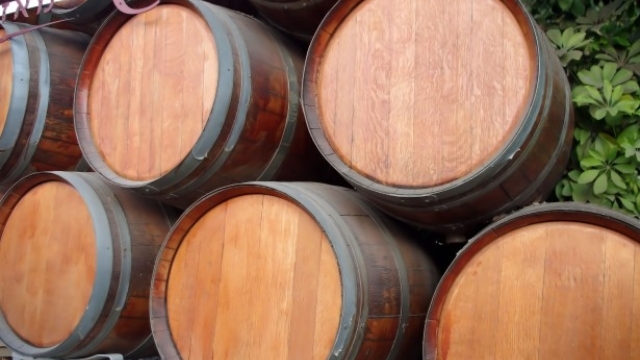 Intensely structured Semillon wines may be barrel aged, while fresher examples are typically blended with Sauvignon Blanc and fermented in stainless steel." "In Australia's Hunter Valley, say, it's at its most distinctive – almost like a riesling, as indeed it used to be known. . . Sémillon from the Barossa is richer and fatter – more pineapple than lime – and perhaps more to your taste if you're a chardonnay drinker. . . And in the Margaret River, sémillon can be as green and grassy as the sauvignon with which it's generally blended, a synthesis that oddly creates a wine that's riper than both." "To him, the failure is in comprehending what great Semillon requires: poor, gravelly soils (in Livermore, as in Graves); serious winemaking; and that willingness to wait. . . But there's no real reason for our Semillon betrayal aside from the whims of fashion. When grown carefully and picked with some green flavors amid the typical fig and honey, it shines. The gastronomic potential is profound. It's less obvious than Chardonnay, less strident than Sauvignon Blanc." "Australia is the best known wine region where Semillon excels. Among the prime spots for Australian Semillon are South Australia’s Barossa Valley and the Hunter Valley in New South Wales, where the unoaked style is favored. The intriguing thing about mature Hunter Semillon is that it smells and tastes like it had been aged in oak, though the wine never touched wood. A similar depth and structure are obtained in the Adelaide Hills of South Australia and Western Australia’s Margaret River by blending Semillon with a little Sauvignon Blanc. . . With young Semillon you often get crossed signals that can put off the consumer. Aromatics are scant and the wine tends toward fatness, or a ripe oily texture. . . With bottle age, Australian Semillon becomes a different animal, often described as “honey and toast.” Mature Semillon’s fruit profile is riper, more mature, leaning away from green apple and more toward figs, bread dough, straw and a toasted component that can easily be confused with the scent of toasted oak barrels. . . Youthful Semillon appeals with hints--though sometimes muted ones--of lemon grass and lemon peel, crisp green apples, lime juice, freshly mown grass, vanilla, and refreshing vibrant acidity." Examining reviews and competition results soon makes one thing crystal clear: not many brands of Australian Sémillons are making it into the U.S. Here, for example, is an Australian taste-off of 49 Sémillons; here's another of 44 Australian Sémillons. Try to find any of them at retail in the U.S. Neither of the big wine-search engines show any but a very few. (Yes, you can find some Sémillons among the usual big-name, single-digit-price bottlings, but we're talking about serious wine here, not plonk with a funny animal on the label). We have nonetheless managed to include several Oz Sémillons, plus a Washington State specimen, as that is a locale showing promise with Sémillon. And—as with several other varietals—we were obliged, by our policy of trying to stick to monovarietal bottlings (so you can get a clear sense of what wine this grape makes), to omit many popular "Sémillons" that turn out to be Bordeaux-style blends with a generous amount of Sauvignon Blanc; those can be excellent wines, but they aren't truly Sémillon wines. ♦ Pale yellow. High-pitched, mineral-driven aromas of lemon zest, talc and spearmint. Taut and juicy, showing citrus fruits, a hint of green apple and strong minerality. Picks up deeper melon and pear character with air and finishes dry and persistent. I like this wine's linear character. 2010 - a winsome, lemony nose and palate is subtly infused with lemongrass. A mouthwatering finish, slightly saline finish shows a clean pair of heels. Very good, very youthful. 2009 – this is already showing waxy lemon and hints of kaffir lime. It’s quite ripe and forward with juicy,zesty acidity. Delicious already! 2008 - a tricky year is reflected in a sweet herbal, slightly dusty nose and palate with an undertow of lemon. Puts me in mind of a Margaret River Semillon Sauvignon Blanc blend. 2007 - an inviting nose with ripe and waxy lemony fruit, some lemon curd showing too, all which follow through in the mouth. Rounder, stony acidity makes for excellent, still primary drinking now. Very good with powerful and pure fruit. 2006 – into the next stage of development with ripe lemon curd and lemon butter on nose and palate. It’s less structured with seemingly lower acidity than the others – would be terrific with a nice piece of fish, with lemon butter sauce! 2005 - a brighter, zestier, lemony nose - plenty of vim and vigor in this top year. Waxy and round in the mouth with lemon/lime cordial, hints of lanolin and a lovely lick of acidity which makes for a long, lingering and animated finish. Very good indeed. Lovely balance. 2003 – (the first of the screwcapped vintages) tight and pithy with lemon pip freshness and bite to the nose. In the mouth, it’s surprisingly rich and waxy with a honeyed mouthfeel, ripe citrus, lemon and lime curd as well as lanolin and white porcini on the finish. Lovely complexity and balance. Long and lingering. 2000 – much more developed than I expected after the 2003, its nose and palate putting me in mind of a Coteaux du Layon from the Loire with its camomile, dried herbs, honey and lemon. It seems quite round, low on acidity and a little short in the mouth in comparison with others, though the flavour spectrum is complex and, at a recent tasting in London, this worked really well with a Dover Sole dish at Hakkasan. Enjoyable but not one to keep. 1999 – what a contrast, this has oodles in reserve. A very fine, lemony nose subtly shows its age with hints of honey and spicy orange. Waxy, but with a tight citiric spine, in the mouth, it just keeps building and building. Terrific drive, with a super-long, reverberating finish. Outstanding. 1997 - its deep yellow hue signifies another gear change. Significantly more developed than the 99, with beeswax and earthy dried porcini notes on the nose. In the mouth, it just seems to have lost its mojo, showing little drive behind its lemon lozenge/lanolin flavours. 1995 – deep gold and rich and round on the palate with beeswax, honeyed lemon, tinned peaches even. Still present acidity. It just lacks harmony/balance. 1994 – a quietly impressive wine with a subtle herbal/lemongrass edge to its still fine boned lemony nose and palate. Lanolin notes remind you of its vintage but it shows lovely delicacy, purity and youth to its long finish. Excellent. 1987 – deep gold, with a slightly earthy note, toast, pot pourri and honey. It’s a teeny bit “stretched” but there’s lots of interest here and still decent vigor. Wood Matured 1986 - antique gold with a concentrated nose and palate well endowed with hot buttered toast, ripe, honeyed lemon, lemon lozenge, lime shred and hints of dried herbs, buttermint/menthol. Still potent with great generosity of flavour. 1985 - red/gold with a lovely nose dripping with honey, lemon and beeswax. There’s a backdrop of toast to the nose which is more pronounced on the palate; spicy orange too. So round and honeyed is it in the mouth it feels almost thick enough to spread on toast! Long and lingering and not just on account of its texture, thanks to a sustained hum of acidity. Impressive. ♦ A mix of lanolin, beeswax, lemon pith and a slight grassy edge here too: this is crisp and bright. The palate's like fresh-cut apple, really tangy, with fresh texture and crunchy acid. ♦ Nose: Honeydew, stone-fruit, chalk-dust, elmer’s paste and some flintiness. . . A nice attack of citrus, lemon/lime zest, grapefruit pulp and kiwi combined with razor-sharp acidity make this wine a natural with all sorts of seafoods. ♦ The 2010 Semillon gives intense notes of freshly squeezed lime, lemon meringue and wet pebbles. Dry and light-bodied, it has a nice nervy tautness and very crisp acid that lingers long into the finish. Delicious now, it should cellar well to 2016+. ♦ Light, tart and appealing for its lively, leesy pear and lime flavors, lingering nicely. ♦ Brokenwood's entry-level Semillon is always a reliable introduction to the Hunter Valley style. Crisp, zingy citrus fruit and light body make it a fine accompaniment to raw oysters or other shellfish when young. ♣ There is an amazing dearth of online comment about this wine (perhaps because the quantities made are small—a few hundred cases, we believe). Lots of retailers worldwide carry it, and praise it, but we don't quote sellers or agents. Still, we know famed Australian wine critic James Halliday gave it a 90, and Michael Skurnik distributes it, so someone likes it. ♦ Classic Hunter Valley Sem, if maybe just a little fruit-forward. Like tasting light-bodied lime juice that finishes fresh and clean. Drink it now with oysters, or put some aside for up to 10 years for it to develop toast, honey and marmalade aged characters. 90 points. ♦ Effortless release, as they so often are out of Tyrrell’s when semillon is involved. Quality made to look easy. Lemongrass, lemon curd and orange rind notes. Delicious young. Will age well over the mid term at least. 91 points. ♦ This latest Tyrrells semillon is a crunchy lightweight 11.5% alcohol, perfect for summer quaffing. It has the trademark lemon citrus fruit flavours and aromas of the best Hunter semillons too and although it's a lighter wine, there's no shortage of flavour here either. The higher end Tyrrells semillons tend to be more restrained in their youth so I suspect this entry level wine is made for earlier consumption. It would be quite easy to enjoy this wine on its own but it would be a great accompaniment [for] any light simple dish. Of course you could also leave it in your cellar for another five to 10 years, the result would be worth the wait. ♦ Lots of lemons and real lemonade. It's clean and crisp screaming for fresh seafood and lazy days in the outdoors. A little texture is evident from a couple of months on lees. Grapefruit acid is in check complementing the fruit nicely. Not much more to say really. Fine drinking this. 91 points. ♦ Pristine and delicate, the bouquet shows lemon peel, floral and fresh apple notes, leading to a finely textured palate that is linear and focused. The wine shows classic Hunter restraint and tight structure, beautifully framed by bright acidity. It is light on its feet, and pure and elegant. 93 points. ♦ This style of Barossa Semillon is a far cry from that practiced in the Hunter Valley. This version is medium to full bodied, with waxy, pineapple notes and a crisp, linear finish that features just a hint of honey. 89 points. ♦ This is an unusual but very enjoyable wine. In the past, Dave Powell’s white wines were very full-bodied and oaky (I quite liked them), but he seems to have toned down the oak a bit and possibly picked earlier to get a fresher more balanced style. This has delicious floral and toasted almond aromas, medium-bodied waxy lemons and honey on the palate and a bone dry finish. I would happily lay down a few bottles, as I suspect it will age for another five years. ♦ The Torbreck Woodcutter’s…is more than just a steal at this price. It’s an example of how wine ages, and why you should sometimes buy a wine to age, even if you think aging is too wine geeky for you. I first tasted this Australian white, made with semillon, two years ago, part of a group of samples. I liked it, but it wasn’t anything special, according to my notes: “Intriguing wine that had some richness not unlike chardonnay, but without any chardonnay fruit. Just some pepper and a little apricot or peach.” [Opening another bottle two years later, the] difference, as the wine become more complex from aging, was impressive. The fruit had evolved into an almost honeyed apricot, close to the fig that you’ll find in the textbook definition of semillon. “Some richness” had turned into a rich and full mouth feel, and it didn’t taste like chardonnay at all. Through all of this, the Torbreck Woodcutter’s was bone dry, and with an almost chalky finish. I couldn’t believe the transformation, and the wine was delicious. Highly recommended, and another reason why wine is about trying as many different kinds as possible. Otherwise, you’ll miss a treat like this. ♦ The 2014 Torbreck Woodcutter's Semillon offers distinctive aromas and flavors of earth, chalk and melon. Perhaps the wine's crisp finish cements the deal and makes this one so terrific. 91 points. The obvious choice would seem to be Tyrrell's Vat 1 Sémillon (Hunter Valley, Australia). This is not the "Museum Release" version of their famous "Vat 1".